The Los Angeles Positive Dog Trainer Alliance is a coalition of positive dog trainers dedicated to fostering healthy relationships between dogs and their people. The Los Angeles Positive Dog Trainer Alliance is a coalition of positive dog trainers and dog care professionals dedicated to fostering healthy relationships between dogs and their people. 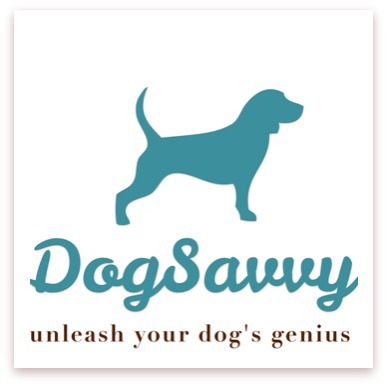 Dog Savvy Los Angeles specializes in game-based dog and puppy training and solving problem dog behaviors like canine separation anxiety, leash reactivity, excessive barking and aggression. Our positive approach to dog training incorporates motivational games of choice that build your bond with your dog while teaching them good manners. This method is not only fun, fast, and easy to learn for both you and your dog, it's also based in science! We want you to know that training is our passion and we take a unique approach in building dogs’ confidence through classical and operant conditioning. We use the best research available on canine behavior and learning theory. We intend to educate pet parents on how to properly train your dog and strengthen your relationship. Oh, and we have fun doing it! We all learn the same way! Competent Pup utilizes a specific, proven methodology for animal training based on modern science and learning theory. Science-based dog training develops clear associations and helps the student learn the fastest and most effectively, without any negative repercussions. Competent Pups are taught ethically and humanely because that's how we learn the best! America’s first art exhibition for dogs, dOGUMENTA opens at FIGat7th in DTLA over two weekends in September! We are excited that professional dog trainers from The Los Angeles Positive Dog Trainer Alliance will be assisting daily at the event. Not by or about dogs, dOGUMENTA is a curated art show FOR dogs. This FREE event takes place September 14-16 and 21-23 from 11 am to 6 pm daily. Each Sunday will feature an onsite mobile dog adoption. Featured artworks by eight LA-based artists address the canine sensibility through a variety of media—from sound and sculpture to kibble and squeaky toys. Reserving a ticket is strongly encouraged and guarantees entry. Reserving a ticket constitutes your agreement to the waiver in the description. PLEASE SELECT A TICKET BY DATE AND WINDOW OF ARRIVAL. Walk-ins will be let into the exhibit on a first come, first served basis. One dog per person and that dog must be on a leash. Humans welcome! Jessica Dawson and Rocky at dOGUMENTA NYC. Rocky is Jessica’s muse and the inspiration behind dOGUMENTA. dOGUMENTA is produced by ARTS BROOKFIELD and sponsored by NATURE'S RECIPE. Jessica Dawson, Mica Scalin, and a Morkie named Rocky are the founders and curators of dOGUMENTA. The 7th St Metro Stop is one block from FIGat7th. The FIGAT7TH parking garage can be entered via both 8th Street and 7th Street at Francisco Street. Map to 945 W 8th St for easiest directions. Reach out to Arts@brookfield.com with questions.